This column continues the series of articles about the general scope document. In the January 2019 issue, we addressed the purpose and justification of the project. A case study was used to demonstrate the concept of purpose and justification. This month, we will discuss the second portion of the general scope document. This is the project scope description. What should be included in this portion of the general scope document and how detailed should it be? 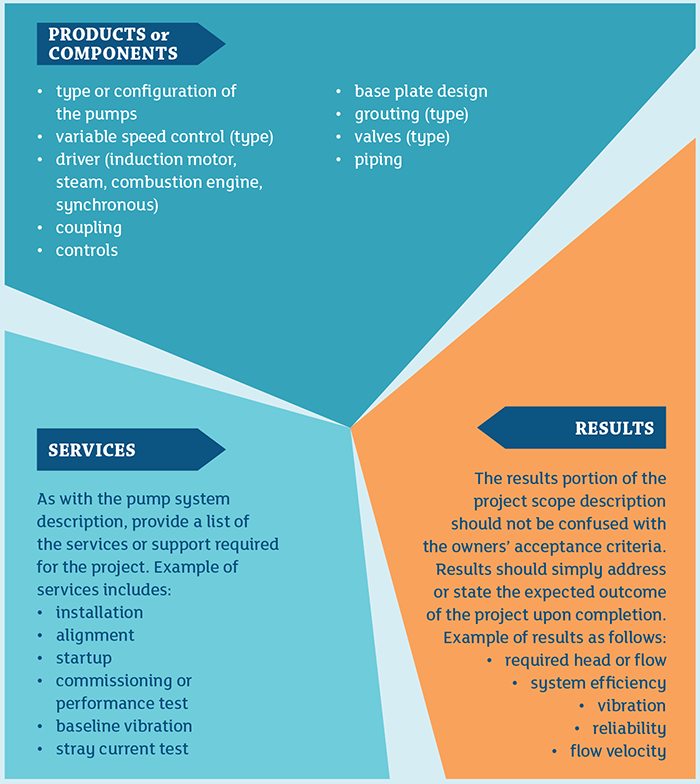 In a previous article, I addressed the pump selection criteria as a portion of the project scope description. However, the pump selection criteria can be in other portions of the general scope document as necessary to provide the clarity needed to allow the engineering firm and contractor to estimate costs. The project scope description should include the characteristics of the products, services, and/or results the project will produce (not to be confused with owners’ acceptance criteria). Depending on the project and input from the team, the results portion of the project scope description may vary. Remember, clarity is power. If you do not clearly define the expectations, you will likely end up with a less than acceptable system. In other words, an unreliable, inefficient, problematic system that will eat up your operations and maintenance budget. Next month, we will address the high-level project requirements. William Livoti is retired after more than 40 years in the pump industry. Livoti is a member of the Pumps & Systems editorial advisory board and provides technical services to JK Muir LLC as a senior pump system engineer. He may be reached at wlivoti@outlook.com.